I think it’s pretty obvious that Lights Camera Catwalk has always been a fashion and lifestyle blog dedicated to millennial women. You all crave recipes, skincare and beauty advice that is simple and straightforward. Well alcohol and cocktails sometimes aren’t! But after some searching I’ve found the perfect hack to figure it all out — specifically bourbon, a spirit that I’ve strayed away from until now. Let’s cut to the chase: My man LOVES whiskey. Admittedly, I do not. Whenever we’re out together I can never seem to order the right cocktail. Just last night, we were having date night at a fancy restaurant downtown and he ordered a blackberry bourbon lemonade. Oh. My. God. It was the best thing I’d ever tasted! I simply HAD to recreate it, but I couldn’t find the right recipe anywhere. So I made my own using Whiskey5.com. I have no idea where to start when looking for a Bourbon that I (and he) might like, but this website makes it so easy! I just entered in my flavor profile (sweet for me, spicy for him) and it gave me an expert suggestion! As I got sweet, that meant I should look for delicate whiskeys that offer up a surprisingly smooth creaminess and notes of fresh fruits and dried apricots. Harrison got spicy, which meant he was in store for a vibrant flavor journey, filled with fruitful highlights, hints of vanilla and peppery spices. Select the two flavors that best suit your taste and use the sliders to set the intensity of each flavor. Also make sure to use the toggles after you make your flavor selections to rank how much of one flavor you are looking for in a whiskey! Flavors range from smooth, spicy, bold, to sweet or smoky. Hit “Get Results” and find out your flavor! So here it is, my Blackberry Bourbon Lemonade recipe with Bulleit Bourbon’s Kentucky Straight Bourbon Whiskey! Serves 2 4 oz Bulleit Bourbon 1/4 cup fresh blackberries (now in season, eastern shore!) 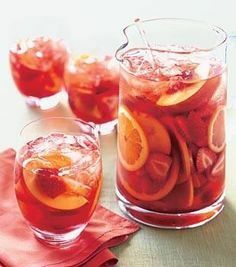 1/3 cup sparkling lemonade 1 lemon 2 oz simple syrup Handful of mint Muddle the blackberries, mint and slices of lemon in a bowl. Once they’ve made a sort of paste, add the simple syrup. Pour the mixture into a shaker with some ice, the bourbon and the lemonade. Shake well and pour over ice. Garnish with mint! I will no longer be afraid of trying bourbon. I now will be making this blackberry bourbon lemonade all the time, as well as maybe this Bourbon Mule that I shared last year. So delish! What’s your flavor profile? Make sure to check out the other cocktails located in our recipe archives while you’re at it! You can visit this site to find out the closest store in your area. These in-store displays make it even easier on confused customers like myself! Um, this looks SO GOOD! Would be perfect for tailgating!